> Forget all the trackers I wrote about last week. I’ve met someone new. > I also pushed the values for attention, valence, engagement—because I’m most interested in tracking mind-wandering—as well as the “dominant emoji” and a timestamp. I figured this would give me a pretty good picture of my mood shifts throughout the day, at a reasonable pace. Cool to see you’ve started already to think about data filtering and focusing in on the relevant parameters for your analysis. 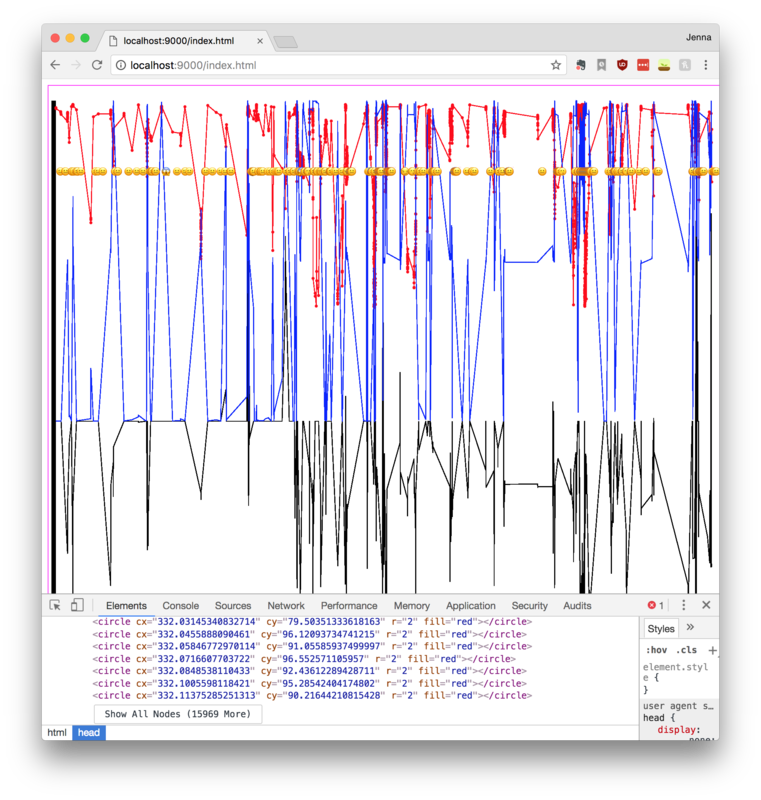 Super nice insights into the tooling landscape. This is one of those cases when it is handy to ping pong ideas back and forth between what is possible and what ideas you have in mind. Ideally this is what it means to be at the “bleeding edge” where things aren’t so straightforward, but where the possibility-scape is being formed by your explorations and practice. Keep up the explorations! 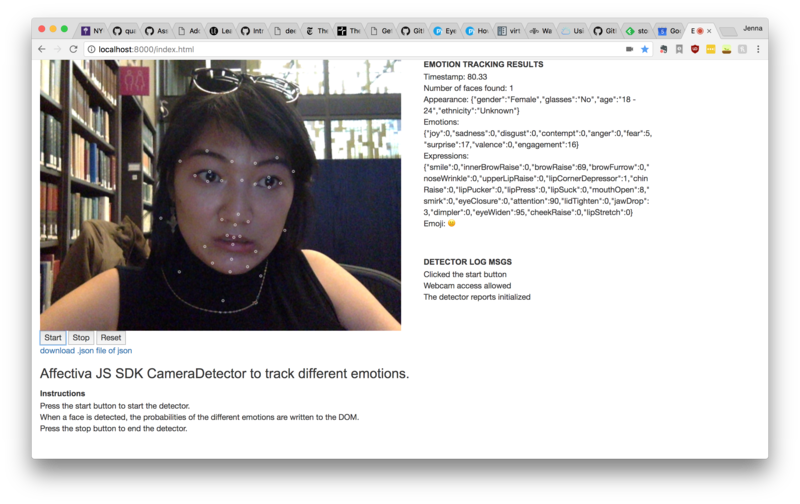 try to collect webcam shots at X intervals and then run the facial recognition and sentiment/mood analysis over that image by image. 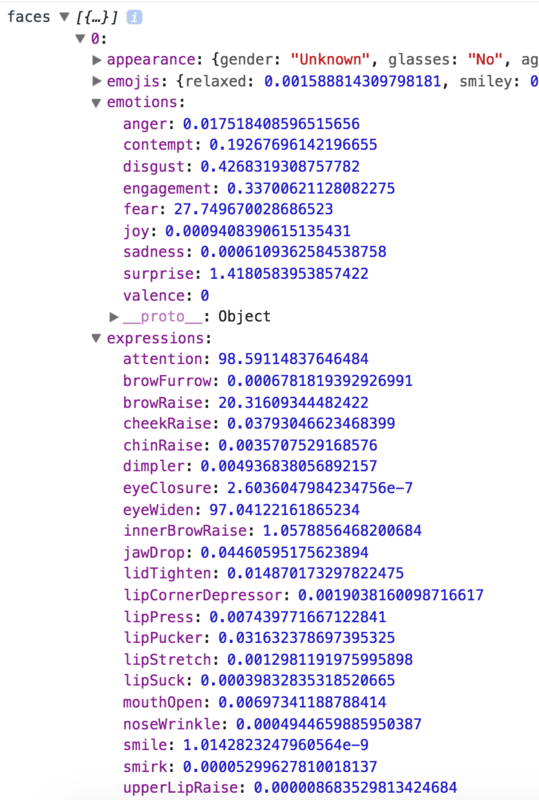 Then correlate the sentiments mapped to those images to your other data you’ve collected about your mood, valence, and engagement. There’s downsides of course such as that it means you’re not getting the real-time feedback, but you might think about ways you can still prompt things like push notifications that might be useful interventions for those variables you’re tracking.